There is no mention of Kinect support on the box of next week's HD 10th-anniversary remake of Halo: Combat Evolved. That doesn't mean the features were cut. They weren't. They're mentioned in the manual, which states that the game's optional Kinect support isn't on the disc. It will be added, on November 15, the day of the game's release, over Xbox Live. If Kinect is a huge deal for Microsoft and Halo is, too, why not showcase the combo? The game's creators cite down-to-the-wire attention to quality. 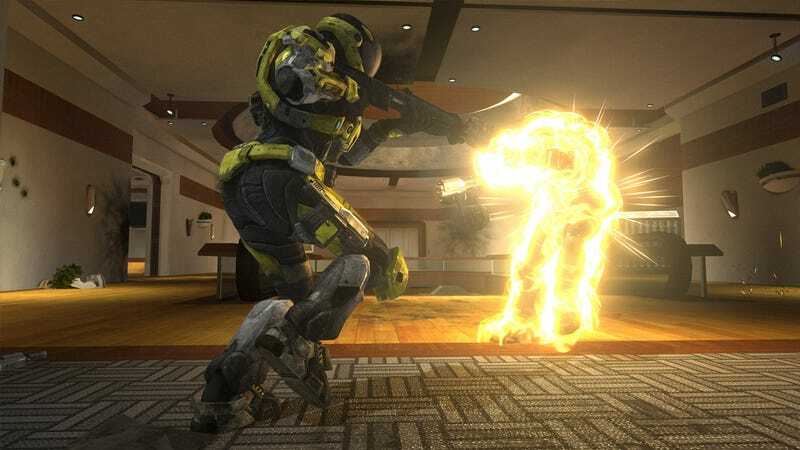 "The Kinect features in Halo: Combat Evolved Anniversary are something we have been working on for some time," a spokesperson for Microsoft's Halo division, 343 Industries, told Kotaku. "A we wanted to ensure it was a great experience, we chose not to rush things for the retail release and instead focus on a quality update timed for launch day. Because the Kinect features require users have access to Xbox Live, it's not something we could advertise on the box as shipping with the game." The Kinect support will auto-download over Xbox Live when they put the game in their console. According to the game's manual "players witha Kinect sensor can take advantage of a a number of Kinect-enabled gesture and voice features, including the ability to select and analyze enemies and objects—unlocking vital intelligence about them in the Library—and to move among in-game menus." The review embargo for the $40 remake lifts on November 14, a day before the Kinect support is set to be available. Some reviewers may have gotten an early look at the features but we'll be waiting until the 15th to test them out. Here's hoping they benefit from the extra development time they were given.